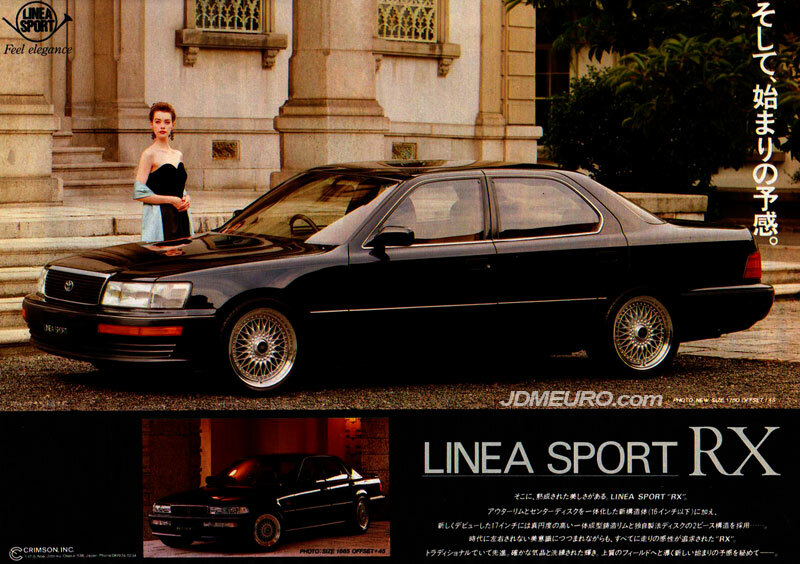 The Linea Sport RX are Old School JDM Wheels from the mid 90’s. The Linea Sport RX features a Classic Mesh design with covered lug nuts similar to the style of the BBS RS. The face is mounted behind the lip to give it the classic sandwich mount look format. Pictured is a Lexus LS400 / Toyota Celsior and the car looks classy and perfect.